Walking down Fitzroy St on a Saturday morning I passed by a few interesting characters, most of them looked like they had still been out from the night before. 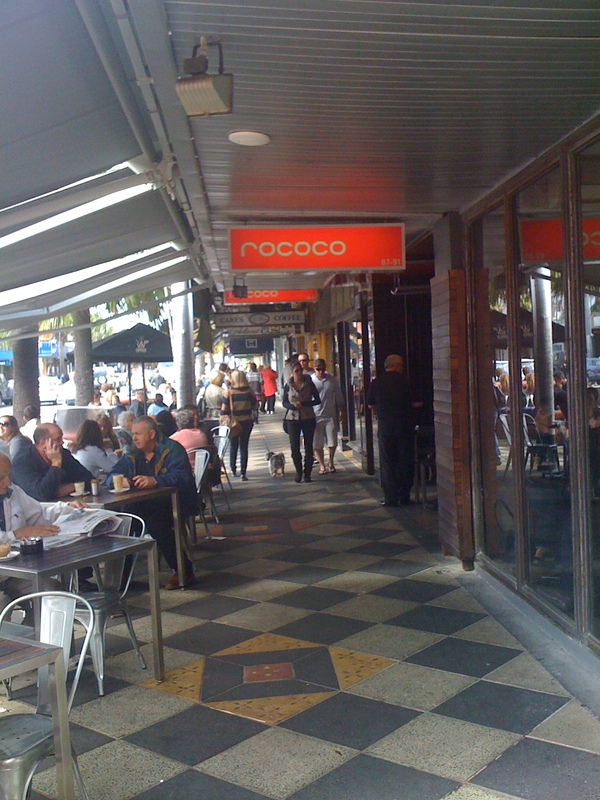 It was nice to have a leisurely stroll down leafy side streets of St Kilda before entering the bustling Ackland St, where I was meeting with a few local Melbournian friends for breakfast at Rococo Italian restaurant. Rococo is a spacious restaurant, with modern decor, concrete floors, big red beams, and large colourful paintings hanging from the walls. The breakfast menu is extensive, offering a variety of savoury and sweet dishes which made me spoilt for choice (there were too many interesting things to chose!). 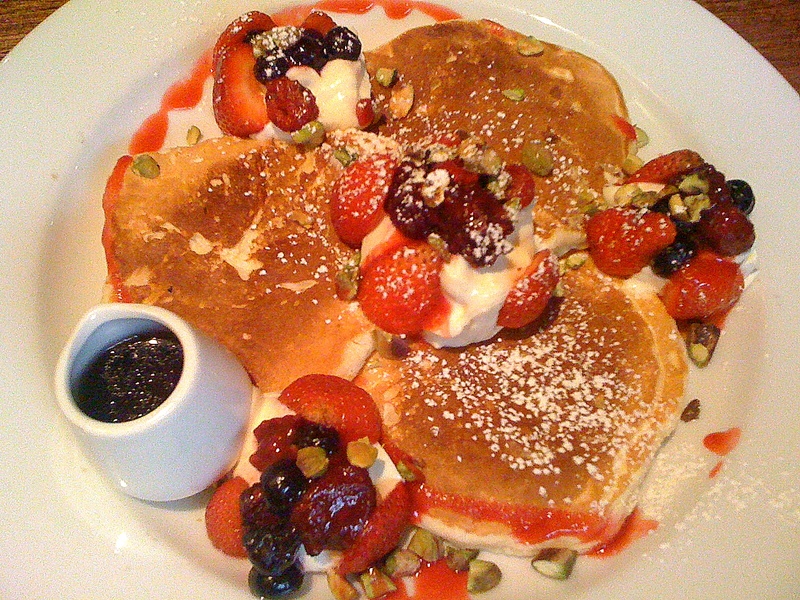 I chose the Berry pancakes, buttermilk pancakes with a berry compote, fresh strawberries, blueberries and raspberries, whipped mascarpone, maple syrup and pistachio nuts ($15.50). What can I say, this was beautiful, the berries on top of the fluffy pancakes and the creamy mascarpone and pistachio nuts was simply divine! 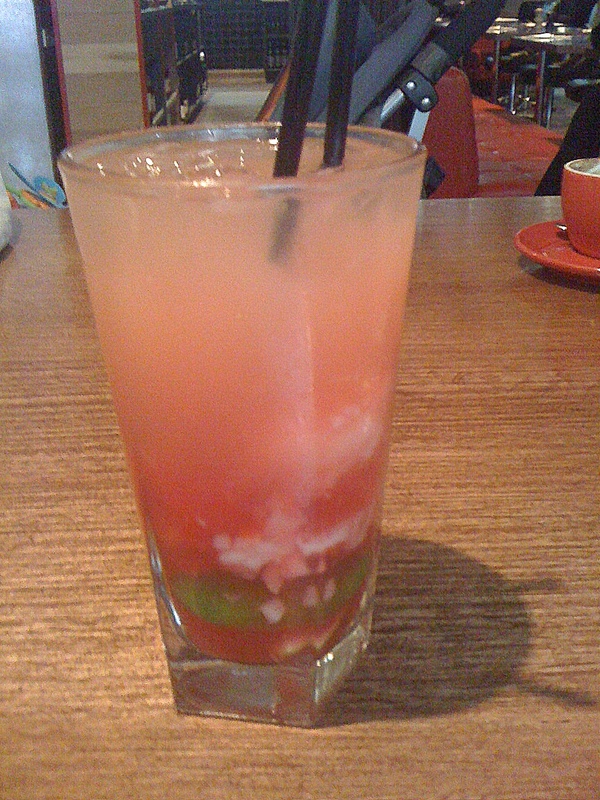 I also ordered a Lychee and Cherry Smash ($9), it was a bit like having a mocktail for breakfast – berries muddled with lychees, very refreshing! 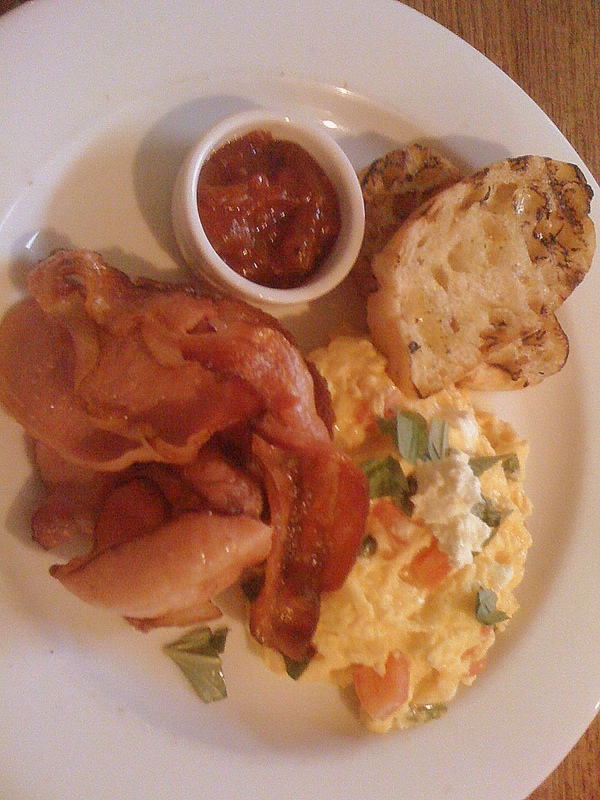 My friend tried the Creamy Scrambled Eggs with feta, fresh tomato, basil and grilled ciabatta bread $16. The eggs were as the menu described, fluffy and creamy! 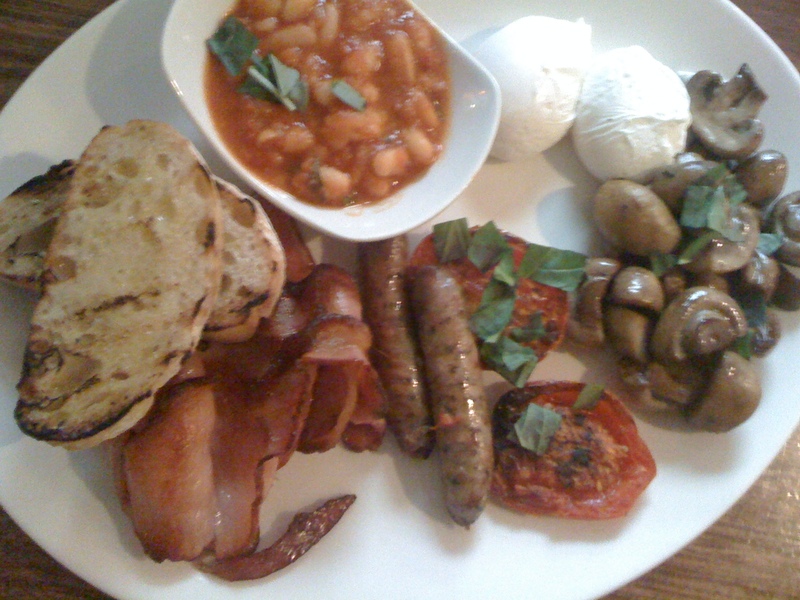 For those who are very hungry, I would recommend for the hearty Rococo Breakfast, your choice of eggs served with bacon, old English pork sausage, grilled tomatoes, mushrooms, baked beans and grilled ciabatta $20.50. 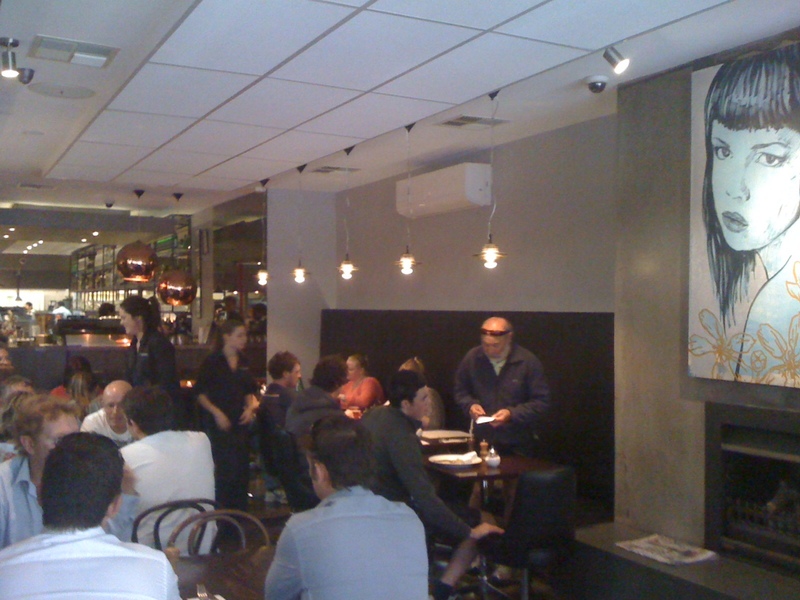 Rococo – great food, good service and in a perfect location in the heart of St Kilda.